I snickered and asked her if this was his idea of Christmas decorating. Nope, she said. He’d read on the Internet that bubble wrap is a good insulator, and that covering your windows with it helps save on heating costs. Bubble wrap seemed like an even worse alternative. But then I searched the Internet and read that using bubble wrap with large bubbles on your window doesn’t obscure the view as much. 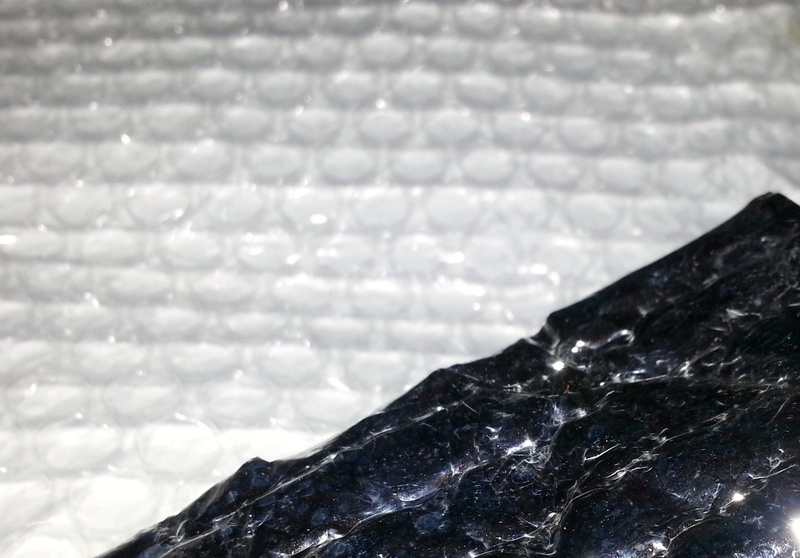 And in bathrooms and bedrooms, small-bubble bubble wrap on your window can do double-duty as a privacy screen. Besides, I remembered that I can’t see anything interesting out the single-pane windows in my basement anyway, since they’re all below ground level. 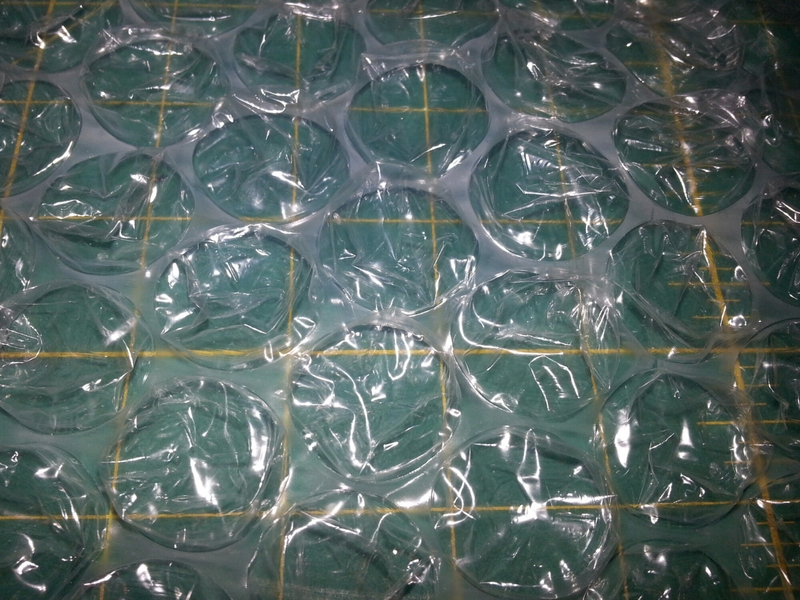 So I decided to give bubble wrap a shot. As you can see, I didn’t trim the plastic for a precise fit. If you want to hold the bubble wrap to the window using only water, you need to trim that so that not much hangs past the glass itself. Water isn’t as good an adhesive against metal as it is against glass (and you definitely wouldn’t want to use it against wood). However, I wanted the overhang because air leaks through the tiny gaps between the window and the frame, and I wanted to cover those gaps. 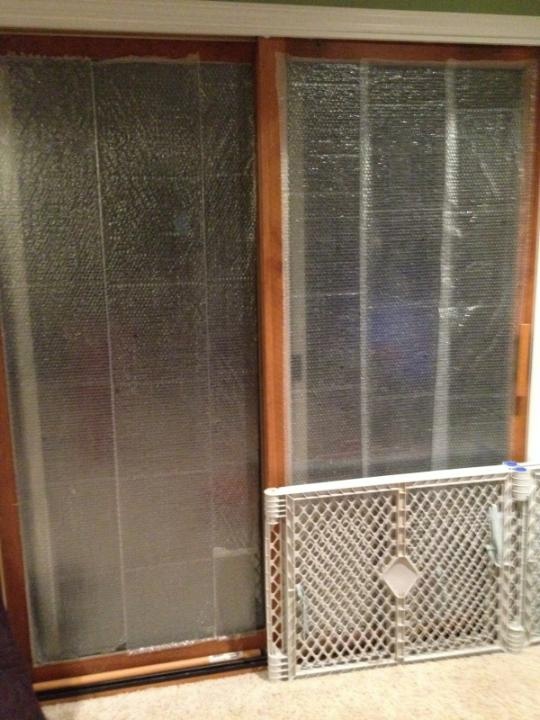 Since the windows in my basement are really leaky, I decided to go for a double layer of bubble wrap for better insulation. 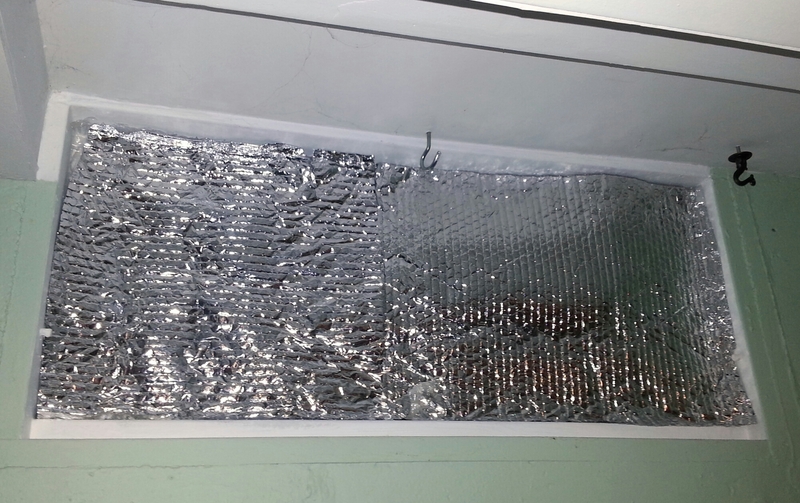 For the second layer I decided to use bubble foil, which provides slightly better insulation values because its foil side reflects heat back into the room. That is true, which is why would normally recommend doing this. but it so happens that my sewing room window is located in such a shady spot that barely any light enters through it anyway; if I’m in it in the middle of the day and turn off all the basement lights, I can’t see a thing inside the room. So blocking the light isn’t really a problem. So I secured the layer with clear packing tape, which I have circled in the picture below because you can hardly see it with the naked eye. 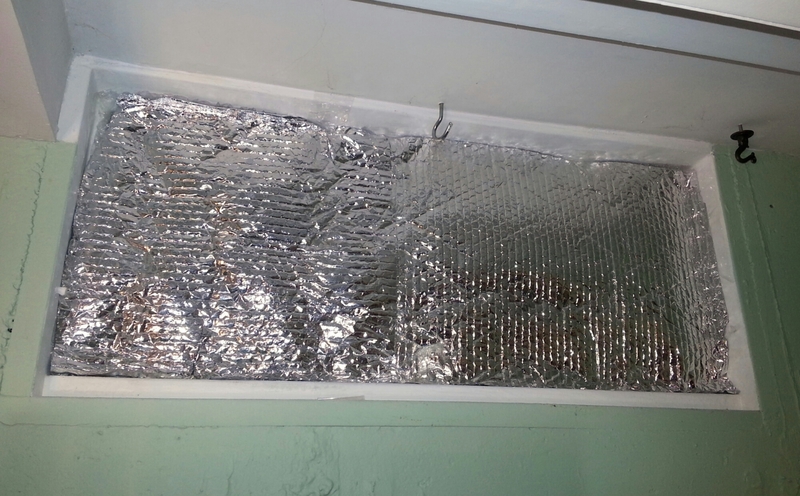 In the laundry room, I (with the help of Companion, who had wandered into the basement to see what I was up to) installed layers of clear bubble wrap over the windows, skipping the foil since the windows there let in light. 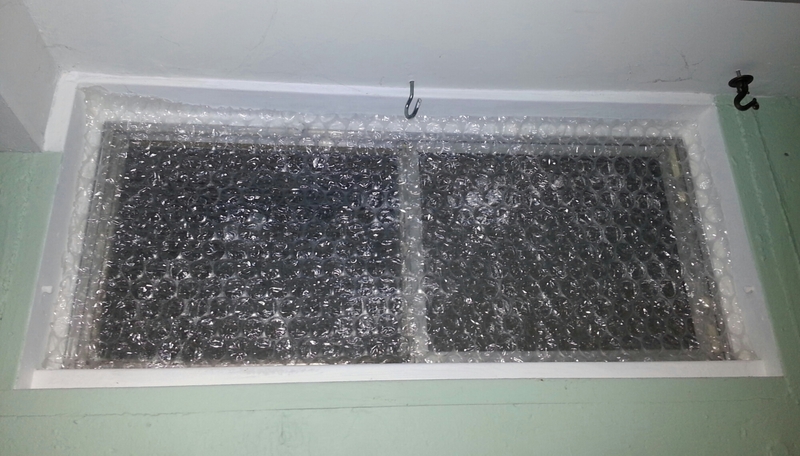 There was definitely less of a breeze next to the windows after installing the bubble wrap. Whether this translates into cost savings is yet to be determined, but the increased comfort was worth the effort. *It turns out there is a clearer alternative to the plastic we used: vinyl. Having not used it myself, I can’t say how well it holds up year after year. I imagine it would hold up pretty well in windows that don’t get direct light, but start yellowing or crackling where exposed to bright sunlight – but these are just educated guesses. This is a rather neat trick I hadn't previously come across. Thanks! Really cool! Great for students who want to save energy (and money)!